Fernando, it’s you final grand prix, can you describe your emotions coming into the weekend, please? Fernando ALONSO: So far I think it’s a normal weekend. I think on Sunday it’s going to be different, when it gets a little bit more emotions. But right now, I landed like 10 hours ago from Japan. 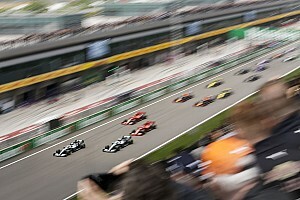 I’ve been racing last weekend in Shanghai and I’m not probably into the mood yet of this final race. It feels OK right now. As I said, it’s going to be special, emotional, and hopefully a good one. Q: Lewis, on the subject of this being Fernando’s final grand prix. You’ve raced alongside him and against him. What kind of a rival has he been for you? Q: Will you miss him? LH: Will I miss him? Yeah, I think the sport will miss him. Q: Lando, you are going to be driving for McLaren in 2019 and you’ve been working with Fernando this year. What has he taught you? Lando NORRIS: He’s taught me quite a few things. One of the biggest things was working with him in Daytona, because I got to see a different side of him, I guess, working together. It’s not just some things. There are quite a few; a lot of stuff I can take through to my first year in Formula 1. And already, things I’ve taken into practice, into FP1s. There have been a lot of things I’ve been able to learn. We’ve had some good times. We get along really well and hopefully can continue in the future. Q: And George, just a question for you about Fernando. You haven’t worked with him but was he a driver you followed closely when you were growing up? George RUSSELL: Yeah, 100%. Growing up as a young karter you always look towards Formula 1 and Fernando was in his prime at that time and always fighting for championships, so as Lewis said, the sport is going to miss him, but he is a fantastic driver. Q: Fernando, you’ve said you’re not in the mood for reflections but what do you feel is your legacy? FA: I don’t know really. I think it’s difficult to say in the first person. I think I’ve been trying to do my best all the time here, fighting against anything or circumstance that may put some stress or put other people down. I was trying always to give my best and somehow working with the kids and the karting school, the museum, trying to do a lot of things with the fans and the young generation, trying to help them, if I can, with the knowledge I’ve had all these years and with facilities or something that I probably didn’t have at my time and if they have the dreams and the talent, try to help them. Q: Thank you Fernando, good luck this weekend. Lewis, you’ve been a five-time champion for nigh on four weeks now. In terms of the championships you’ve won, where does 2018 rank? LH: I don’t know, hopefully somewhere around the top. I’ve not really thought about it too much, to be honest. I’ve been focusing on trying to finish off the season strong. But it does feel… you know me, I don’t have a great memory, but it does feel like one of the best years that I can remember, competition-wise and competitive-wise, in terms of performances. Q: Thank you, good luck for the weekend ahead. Lando, coming back to you. As we’ve already said, a McLaren driver in 2019. Can you just paint a little picture for us about the preparations that are going to go on between now and Melbourne in March? LN: A lot! I think I’ve got a lot for myself to look forward. A lot of things that I haven’t done yet to prepare for that first race… the first test of course. Things I’m sure the team will be able to help me through, and guide me in many ways. So I look forward to it. I think there are a lot of things for me to be working on, which I’m very excited about. I’m sure I’m going to be busy. It's not going to be the easiest of winters. But whatever I can do to prepare myself for Australia, the first race… I’ve never been to Australia yet, so there are a lot of things for myself to do. Q: And a lot of jetlag. Thank you Lando. George, coming to you, of course you’re going to be racing for Williams next year but you’ve got a championship to win first this weekend, the Formula 2 championship. You’ve got a big lead; just tell us about your approach coming into the weekend. GR: I don’t think my approach is going to change, to be honest. We’ve had a fantastic season, so there is no real reason to change the approach. Like you said, we have a very healthy margin, but anything can still happen and I think we've seen that throughout the whole season. Q: (David Tremayne – The Independent, Grand Prix Plus) Fernando, can you share some of you best memories from your time in Formula 1 with us. FA: Yeah, the season with Lewis, 2007. I don’t know, I think more than races or memories or victories, the best thing I have from the F1 time is the people that I worked with, the people that I shared half of my life with. I’m 37 and I raced here 18 years, it’s half of my life with a lot of talented engineers, designers, mechanics, you guys, the media, everyone. We shared a lot of days over the seasons and I think that’s the best thing that I will always remember about Formula 1. How you approached this kind of races, the philosophy behind a grand prix, the preparation, and the discipline in all areas of the team. Now, racing in other disciplines, other series, you realise that Formula 1 is a step higher and it’s just trying to find perfection in everything, every weekend, every two weeks, all around the world. This was probably the best memories I will get from here. Q: (David Tremayne – The Independent, Grand Prix Plus) Is there one race where you found that ultimate perfection that stands out for you? FA: A few of them I think they were probably a little bit higher than others in terms of performing and executing the race. If one, I would say Valencia 2012, a race that probably in a normal world we would never be able to win again. If we repeated it 100 times, 99 of them we would not have ended up first. It was a good execution of a strategy, good overtakings, a lot of risk, bit everything worked well. The car was not particularly fast that weekend, we were not even in Q3. I think I lapped Felipe 10 laps to the end. It was not that we were in a dominant position that day but we still won it, so probably that race. Q: (Dieter Rencken – Racing Lines, Racefans.net) Fernando, everybody speaks about Sunday’s race being your last grand prix, but you haven’t categorically ruled out returning to Formula 1. What would it take to bring you back, like champions such as Prost and Lauda did, they returned after retiring? FA: Right now it’s difficult to think about coming back but the door is not closed. The first reason is I don’t know how I will feel next year. I’ve been doing this for my whole life. Maybe next year, by April or May, I am desperate, on the sofa, so you know, maybe I find a way to somehow come back. But it’s not the initial idea. It’s more about myself. If I come back it’s not for any particularly or the line or something that has to happen, it’s more how I feel in the middle of next year. Q: (Adrian Rodriguez Huber – Agencia EFE) Fernando, how proud does it make you, not only what you accomplished in this sport, but what you accomplished for Spain and for Asturias? FA: Definitely very proud. I think you only realise with time, when you see how many people follow the sport now in Spain, in my region in Asturias, how many people travel to Oviedo to visit the museum, to have the first go in go-karts. A lot of people started following Formula 1 and not Formula 1, motorsports in general, in my country, which definitely was not a tradition. We were not broadcasting the races in 2001, 2002, I think it started in the middle of 2003. Something that is unthinkable now, when Formula 1 is the second or third sport in Spain. That’s something that I feel really proud of, and the same with some of the things I had in Spain, the Premio Príncipe de Asturias is probably the biggest thing I achieved, even more than any Formula 1 championship, because that kind of award is about changing people’s lives and introducing a lot of people into one sport. So, those kinds of things are much bigger than any trophy. Q: (Nate Saunders – ESPN) There are going to be a lot for Fernando, so Lewis I’ll give you one. I know you’ve said you don’t like talking too much about the past, but we’re doing something about the German Grand Prix from this year. You’ve said a lot about the conditions and the fortune, and how things came together for you that weekend. What was it you did that weekend that wrestled the initiative back after what happened that Saturday? LH: Jeez… Hockenheim… oh, where we had the issue of the failure in qualifying. I think it was really together, as a team… obviously we had the steering column failure on the Saturday, meaning that we would be starting from last, and I think we just pulled together and tried to make sure we could make the best of the Sunday, and all remained focused on getting a good result. I think it was just ultimately a true showing of the strength within the team. Even though we’d had a difficult day like that we pull together and look for other solutions to get us back up the front. That’s really what we worked for. As a driver, it was moving past the stumble, or the fall, and getting straight back up and fighting next day as if I was starting at the front. Obviously certain things came along the way in terms of weather and that was just an opportunity for me to capitalise rather than make mistakes. I just think as a driver, I was able to really maximise on that day, not making any mistakes I was able to pull myself further forward than perhaps I would on another weekend. Q: (David Croft – Sky Sports F1) A question to Lewis and Fernando. After eight years away Robert Kubica is back on the grid next year. You’ve both raced against Robert, I just wondered what your thoughts were on his return to the sport as a racing driver? LH: Is Robert younger or older than me. (General response): He’s older than you. LH: Oh, perfect! So, I’m so happy he’s coming back, because Fernando is leaving and I was going to be the second-oldest driver but now I still remain the third. I can’t tell you how happy I am about that. No, I think it’s great. I raced him from karting days so I’ve known him for a long, long time and he was always one of the most talented drivers that I had the pleasure of racing against. I know he has had a really difficult time over the last God knows how many years now, and it’s just great to see he’s got the opportunity back and I hope he works hard on his strength and getting his mind back into gear like he was in the past and I think it’s exciting for the sport to see him back in action. FA: Yeah, not much to add. I think, as Lewis said, he is one the great talents the sport has had and it’s great to see him back to race. It remains to be seen what will be the performance of the car, and his own performance, because we only saw a couple of test days. But if he is at 100% he will be amazing to watch, so happy with him. Q: And George, he’s going to be your team-mate next year. 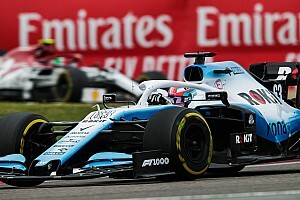 Your thoughts on Robert Kubica? GR: Yeah, I’m extremely excited to be team-mates with Robert. Obviously Lewis and Fernando have said how talented and fast he is, and there’s absolutely no doubt about that. But on top of that he is extremely intelligent, he’s got so much experience and I think he’s going to be a great addition to Williams and he’ll really help push Williams back to where they deserve and should be. Q: (Abhishek Takle – Mid-Day) Question to Fernando. Fernando, in your time in Formula One, you’ve gone up against many great drivers. Who would you say was your greatest rival – and what made them so challenging to beat? Thank you. FA: It’s difficult to choose one. Obviously, if I have to say one, it will be Michael. Not because any particular reason it was just because, when I got to Formula One, Michael was dominating the sport and you are in go-karts and you see Michael winning, you are different categories, you see Michael winning, and then eventually you find yourself fighting wheel-to-wheel. So, those battles were definitely special, or more emotional at that time – but yes, as you said, I think we had, and probably have right now, the most talented generation. Because all drivers now, they are more prepared. They get more time in the simulator, in different young driver programmes, so they go to Formula One with a level that was unthinkable a decade, or two decades ago. So, yeah, it was a good journey and I have to choose one, maybe Michael – but just for emotional reasons, not for any technical aspects. Q: (René Oudman – Racingnews365.NL) Question to Lewis and Fernando. It was recently announced that George and Lando will make their debut in Formula One next season. Can you recall the levels of excitement you felt – and it seems like ages ago – back when you made your debuts. And do you have certain advice for these guys? Lewis let’s start with you. LH: Shouldn’t it be elders first? FA: Probably my advice wouldn’t be very useful because my start was very different. My debut was in Minardi, 2001, we could not test the car before Australia. The team was disappearing at one point, it was bankrupt, so Paul Stoddart came in at the last moment and flew the car to Australia and we studied the steering wheel on Wednesday and Thursday of Australia, and I remember going out of the pitlane in FP1 and there was a queue of cars at the end of the pitlane, because there was still a red light, and I nearly crashed with them, because I could not find the neutral button. That was not the perfect start! The perfect debut! I think they will have more experience, they will have more preparation. They will be excited, yes – but they will be very well prepared when Australia comes. 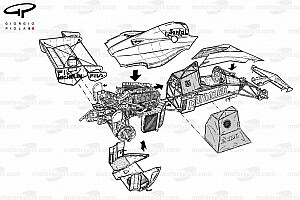 It’s just a matter of executing the race and follow all the engineering help that we have these days. LH: Yeah, I think I’d second what Fernando said. I think Fernando’s was a time before mine – but also my preparation would have been better than Fernando’s – but their preparation is even further ahead from where I was, you know, simulations. George has been with us in all debriefs – pre-briefs and debriefs – and he’s been on the simulator, so the preparation is a lot better than it was, I guess back in our time. Even mine was already great. So yeah, I think they just have to arrive and enjoy, which I’m sure… there’s a different confidence level now, I think, from the younger side, being that there is that preparation. I think it’ll be an exciting experience for them. I can’t remember how it was for me, to be honest, in my first race. I was racing against this dude, who was a two-time World Champion, so I think I was very nervous. Q: (Phil Duncan – PA) Lewis, your relationship with Fernando got off to a bit of a rocky, shaky start in 2007. Can you just say how you felt about Fernando then, and how your relationship’s improved, for the better obviously, over the years? LH: I don’t think we ever necessarily had an issue between us, except we were trying to beat each other and murder each other’s laps on the track. Outside, we used to play NBA 2K, or whatever it was together, ever now and then. It was always really quite harmonious outside. I definitely think naturally, we’re older, old men now and the respect between us, I’d like to think, is higher than it’s ever been and I don’t think that’s ever going to change, and I do hope that Fernando’s at least around, or at least I get to see him in the future, as someone I’ve always respected highly as a driver, as I’ve always commented on, and so, I really do wish him all the best for his future endeavours. 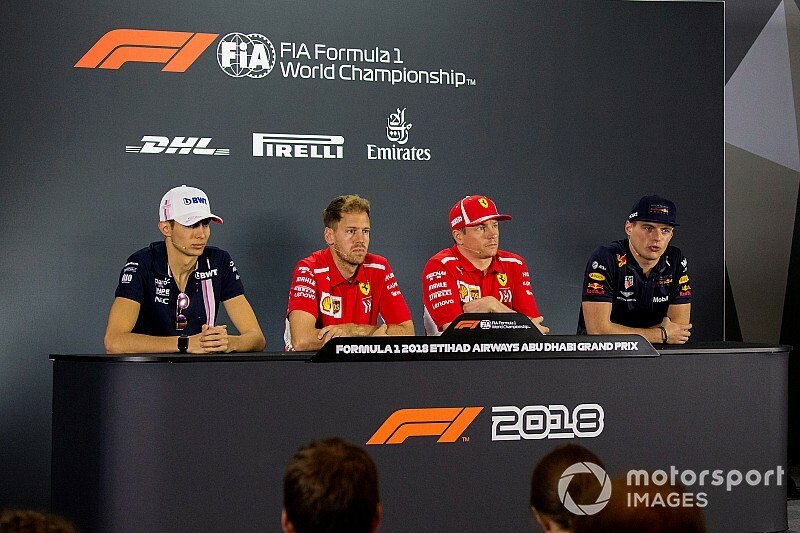 Q: (Walter Koster – Saarbruecker Zeitung) Lewis, I want to remind you politely of your promise you have given two years ago, same place, here in the FIA press conference in Abu Dhabi. Quote: ‘In ten years, you will have to buy my book and can read the explanation for the change of mine and Nico’s mechanics crew.’ It was a good question, it will be an interesting read. Now, I want to know, have you already started writing your book? I am now 69 and have the intention to buy and read it. I hope I will still have the chance in my life. Is it OK so far? LH: That’s a good one! I said ten year, two years ago? I’ve got a while now. You’re going to have to wait a little longer. Eight more years to go. FA: Don’t make him wait, say it now! LH: Eight more years. So I’ve got a little bit of time to prepare. But I haven’t planned to do anything anytime soon. I really don’t have any intentions to do a book. Are you going to do a book? FA: yeah, I will, next year. But look at him, you should say something. He deserves it, after the long question. LH: I said in ten years right? But now, only eight years. LH: Yeah! Eight years to go. OK. Every year from now on you have to remind me. Countdown. Sounds good. FA: You will need to wait eight years – but ask me whatever you want! Simple question. In your Formula One career, journalists always put many questions to you. Is there any question you’ve never been asked by a journalist but you want to give an answer to? FA: No. I think I’ve received all the questions in the world. It’s impossible that there’s one missing. So… I’m not missing any questions. Enough. Q: (Alexander Tobakowski – Derbi.mk) Fernando, besides the triple crown, what could bring you back in Formula One – maybe becoming the father of a future world champion in F1, like Rosberg and Hill? FA: I don't know. I don’t know what the future will bring. Definitely now I’m concentrating on the personal challenges, the triple crown and some other races that I will add next year. For 2020 I don’t know exactly what I will do, or what will be the plan. Further away, it’s impossible to think – but yeah, who knows? Life is long and beautiful. I like Formula One. I will always love Formula One, so if I will be here in the future as a driver, as a father, as an FIA boss or whatever. I will think. LH: You’re not the FIA boss! At least when I retire. Q: (Andrew Benson – BBC Sport) Fernando, what are you going to miss most about Formula One next year? If anything? FA: I think driving the cars. The cars are something special. It doesn’t matter if you’re fourteenth, fifth or fighting for victory. Obviously if you can be on the podium and win, definitely it’s an extra celebration and joy – but when you go out of there for qualifying, or even tomorrow for free practice, and you’re drive these cars, they are very special, y’know? The amount of technology behind these cars would be difficult to replicate in any other series – but on the other side there are negative aspects of Formula One, especially if you are 18 years here. You dedicate your entire life to Formula One. You have no friends, no family, no free time, no privacy, no wife, no kids, no nothing. It’s just full dedication if you want to succeed. So, I think, I have other priorities right not. Q: (Carlo Miquel Gomez – AutoHebdo Sport) Fernando, what’s your goal for the race? It’s your last race. Q3 and finish the race and make a big party? FA: I have to be in Bahrain on Monday morning – so the party is not going to be too long but yes, enjoy the race. I think that will be the first priority. I know we are not competitive enough to fight for big things but, nevertheless, I think we are fighting with Force India for the Constructors’ Championship, so that will be nice to succeed on that and finish in front of them. And in qualifying, even if Q3 is also a dream maybe, too optimistic, we try to do some good laps, some good runs and feel happy with the laps, whatever the position it is. And yeah, that’s the goal. Q: (Beatrice Zamuner – Motorlat.com) Lando, what kind of approach are you going to take, considering that McLaren has had a very challenging season? LN: Hard to say. I think considering it’s my first season in Formula One, and of course I would like it to be a long career in Formula One, there’s a lot of work to be done from myself and obviously from the team. They are working very hard for next season. A lot of change in the team, to try and progress next season and get further up the grid from where we are now. But I know it’s not going to be easy. Obviously, my whole career I’ve worked hard but I’ve always had good results – so it’s going to be my first season where I’m going in and I’m know I’m not going to be winning races – probably – but yeah, hopefully it’s a longer game. And we can just make improvements. I think that’s the biggest thing I want to be able to do, and the team as well, is improve over time and eventually, maybe mid-season, end of season, two years, whatever, see all of this hard work getting paid off. Getting more points, getting a podium and, eventually, try to win. I think that’s my goal and the whole team’s goal. So, I’ll be just working with them as hard as possible to get that aim done. Q: (Dieter Rencken – Racing Lines / racefans.net) George, you’ve worked very closely with Lewis, and Lando, you with Fernando. What’s the single most important aspect you each learned from the World Champion sitting next to you that helped you get into Formula One. GR: I think from my side, seeing how Lewis deals with the team behind the scenes, and everything, I think. No matter who you are, you can see how that driver works on track, and at the end of the day, if Lewis gave me any driving advice, what works for him might not work for me, and vice versa, so I think, from my side, the biggest thing I learnt, in the debriefs, how he discusses, and talks with the engineers, and deals with that aspect. LN: I don’t think it’s been one thing in particular. There’s been a lot of things that I’ve learnt from Fernando. I guess the biggest thing is to enjoy it. I think that’s one of the biggest and best things I’ve seen from Fernando is how, although it’s his job and he has to work hard and everything, he still has fun at the same time. I think that’s something very important. We probably wouldn’t be here – any of us – if we didn’t enjoy what we’re doing. But yeah, it’s on a kind of different level. Apart from the obvious things, working hard, how he talks to his engineers, how they progress, enjoying it and having fun is probably one of the best things I’ve seen. Q: Esteban and Max, it’s been two weeks since you guys were involved in a collision at the Brazilian Grand Prix. Max, let’s start with you: is that now water under the bridge? Max VERSTAPPEN: You guys like the drama, don’t you? Like two weeks after. Yeah, no, all good, in the sense that you can’t change the result. It’s of course unfortunate. It’s always a bit weird to crash with a backmarker but that’s how it goes. MV: No, I wouldn’t, because from my point of view, how I look back on it is that I just passed Lewis for the lead and this season, it has been a lot about tyre management so as soon as I got into the lead, I was basically just cruising to save the tyres and somebody comes out of the pits and has fresh supersoft tyres, I think it was at the time… In general, I think this season Force India has been at least a second to a second and a half behind us. For two laps, maybe, you feel like you have decent pace but the guys in the lead are most of the time not pushing flat out to get somewhere, because once you in the lead, what do you want to do? So maybe you want to try and get past and then try and pull away but within two laps your tyres are gone, or at least, the peak has gone and you end up letting us by again so at the end of that whole process, to try and get by you’re anyway also destroying your tyres in a way so I think it’s always better to just stay behind and follow. Clearly that was not the case. Esteban OCON: Yeah, it’s not a great thing, you know, to be involved with a crash with the leader, of course. It’s not a thing you want to see and I’m sorry for Max. It was his race to win, he did a fantastic job during the whole race but yeah, on the other side, I had a slow pit stop so I came out in between Lewis and Max. got the blue flag after a couple of corners. I got away from the blue flag and I was quite fast and behind Max so I was stuck and then the team came onto the radio saying ‘you can unlap yourself if you want and if you are faster’ and as Max said, he was managing the tyres so yeah, I just went for it. It was important for us to get close to the top ten pack. If something happens, you know, a penalty or anything, I could have got in the points. Things that happen, you can’t come back from what has happened but yeah, that’s how it is, we have to move forward. Q: Max, coming back to you, this is the team’s final race with Renault engines. Just how excited are you about the future with Honda? MV: I’m very excited but the whole team is. You can really feel it. I think it’s good that the whole team is super-motivated for next year. We know that we can build a great car. Of course we are just waiting to have the whole package together but I definitely feel a difference compared to the last years where… the motivation was there, everybody was always trying to do their best but now they’re just so looking forward to next year that I think next year, to have that extra motivation will definitely help us to be more successful next year. Q: Esteban, coming back to you; we now know for certain that you won’t be racing in Formula One next season. What does 2019 hold for you? EO: Yeah, we’ll see what it holds for me. Definitely I will be around in the F1 paddock and trying to get as much mileage as possible in a Formula One car next year. Me and Mercedes, we see great opportunities for me to come back in 2020 so hopefully that will be the case and hopefully I will be back even stronger than I am now. Kimi RAIKKONEN: I don’t know. Obviously I had this leaving them once already so it’s not a new thing. I’m not sad because I don’t see why we need to be sad. We will stay as friends. We’re going to see a lot of us anyhow in the paddock so not an awful lot changes. We’ll both go for new things and I think it’s exciting but we’ve had good times with the team, great people. We’ve had some difficult times, but that’s part of business and I think that’s how it should go: sometimes it needs to be a bit hard. No, obviously I won the championship with them, as a driver. We twice won the team (championship) so I’m very happy to be part of it because there’s not many people who have done it. We will happily go different ways. We’re not that far away from each other and we will keep doing what we do. Q: And just looking at this weekend, you’re in a tight battle with Bottas, just 14 points separating you in the championship. How important is that third place for you? KR: I don’t think it’s changing my world any way. If I end up third, I think we need to go wherever the prize giving is so it’s a negative thing in the end, you know, more travelling but we’ll see. Q: (Andrew Benson – BBC Sport) Esteban and Max, we all know there’s a bit of history between you two. How do you feel about each other as drivers and as men, and about the prospect of racing together potentially for a long time in Formula One? MV: OK, with all the other young drivers? Oh. We’ve done that in go-karting so that’s life. Q: (Andrew Benson – BBC Sport) All I’m asking is how do you feel about each other as drivers and as men? MV: Yeah! Well, I don’t know. It’s like a neutral feeling. EO: I will respond, if he cannot, I do. We’ve been racing since a long time and it’s been close racing on track. Sometimes there were touches but you know if you’re fighting for championships or stuff it’s always the case. Anyway, it gets close at some points but the important thing is that it stays good racing and good fun for the fans but doesn’t go over it and that’s the important thing, yeah, but it’s been a long time that we know each other and it’s been good so I don’t see why it could change. MV: I have the same feeling racing Esteban or Seb or Kimi. It’s not because he’s a lot younger than them that changes my feeling or anything. Q: (Dieter Rencken – Racing Lines, Racefans.Net) Max, Will Buxton, the F1 TV reporter has just tweeted: ‘tell you what, Max ain’t over it. Not one bit. Doubled down on it being intentional on Ocon’s part. Blimey.’ Did you do a TV interview with him where you possibly suggested that Esteban did it intentionally? MV: I don’t care about what’s written on twitter so… no. Q: (Jerome Pugmire – Associated Press) Max, at the start, you said you guys like the drama but obviously the drama is heightened by what happened after the race where you pushed Esteban three times. If you could go back again, would you have the same response? Do you regret your response? MV: No, not really because I was after an apology and I got a bit of a different response. We are all emotional, just at the time that I had lost a victory, so I think from my side I was really calm. It could have been much worse. I think pushing, in any sport, it happens. I actually saw it a few days ago in football again. So from my side, I thought it was quite a calm response. What do you expect me to do, like shake his hand, like thank you very much for being second instead of first? I think it’s quite a normal response. OK, I got my two days with the FIA which we will find out what we’re going to do but no, from my side… You guys don’t really hear what’s actually being said at the scales. You just see me pushing. But if you understand the whole conversation, I think it’s a bit different. KR: Not really. I saw it afterwards. Boys and boys and that’s how it goes. I don’t think anything bad happened in the end it’s probably in many eyes, if you take the whole picture, maybe it’s not the greatest thing in many aspects but it’s not the end of the world. That’s how it goes. MV: I don’t think it really changes if you’re fighting for a championship. It’s easy to say, from other people, yeah, you should have done something differently but I don’t expect to crash with a backmarker. Like I said, if you’re fighting for first or second and you crash like that it’s a different story but if you get hit like that… I honestly don’t understand what I should do differently so, no. For most of the people, also with the emotional side of it, you have not been a racing driver or you have not been in this position where there’s a lot to play for and we are all here to win and then you are in that position and it gets taken from you. It’s not nice and I think emotions can then take over and I think it’s really normal. Like I said, it’s just a normal thing. Q: (David Croft – Sky Sports F1) Max and Esteban, I think all of us here would like to report the facts so Max, help us out here: what was said on the weighing scales after the race in Brazil? MV: Something I didn’t expect to hear. No, it doesn’t matter what it was at the end of the day, because it clearly pissed me off instead of let’s say, straightway an apology but maybe after the race, you’re still with the adrenaline kicki… it’s still in your body, you maybe don’t get the right answer but like I said, we’re not robots. We have emotions. And like Seb said as well, we will always be, unless you puts robots in the car but I don’t think we want that. Q: (David Croft – Sky Sports F1) No, none of us want that. Esteban do you feel like you played your part in what happened as well, then? EO: Yeah, I think we have to move forwards in what happened. We can’t change the past. I’m sure, even if Max said the opposite, he would like to come back on what he did after the race. Yeah, I think it’s done, we can’t change it and now we have to move forward. Q: (Jerome Pugmire – Associated Press) Max, over the last four races, in terms of points, you’ve been neck-and-neck with Lewis Hamilton. There’s one point in it and obviously if the race had gone differently in Brazil you would be ahead by a few points. Does that make you confident that next year you could challenge, we could see a three driver or perhaps more, competition for the title? MV: Well, I think I had that last year as well. I don’t think it really matters a lot, we just need to make sure that from the start, from next year, that we are a little bit closer so we can actually start fighting with them a bit sooner, because it seems like that throughout the season our car just keeps progressing in a good way. That definitely helped us out at the end of the season again this year and also last year. We just need to be a little bit sooner than at the end of the season. Q: (Marco Privitera – LiveGP.it) Kimi, after your long experience with Ferrari, what will be the next target for next year and the rest of your career? KR: I haven’t really thought (about it). We’ll see once we start driving the new cars next year where we are roughly, purely by feeling and then we go from there. Obviously it’s a different challenge but I enjoy also, that’s why I (inaudible). We’ll see. If you ask many people there are lots of different opinions how it’s going to go but we’ll find out next year and we’ll do our best. I think we have a good change to do some great things. Where that’s going to take us, who knows? We’ll find out but we’ll see what happens once we start next year and then after that, I haven’t even thought about it. Q: (Abhishek Takle – Mid-Day) Kimi, just to follow up from what you said earlier: like you said, it will be a new challenge next year at Sauber. What do you think you will enjoy most about driving for Sauber next year? KR: Obviously I don’t know yet because… I’m pretty sure it’s a much smaller team than where I’ve been now, at Ferrari, but I’m really looking forward to it. It’s going to be different in many ways but the aim is still the same, do well in the races. I think it’s more pure racing and less the other stuff in there. Hopefully it will turn out to be good for both of us and that’s our aim. I think it’s what we can do, but obviously I might be completely wrong but we’ll find out. I have a good feeling about it and I’m excited to go there. But it’s close to my home which is obviously a bonus. SV: Didn’t you tell me that you’re really looking forward to the simulator. KR: Yeah, but I have it at home. I told them don’t spend the money on it because I have on at home. MV: So you will do the set-up work for them for the Friday, for the first practice? KR: Yeah. That’s easy. No worries. Do it once well and it should be fine. Q: (Arjan Schouten – AD Sportwereld) Max, you said nothing is clear yet about your public service punishment. What do you expect for punishment? Do you agree with it and do you see it as a real penalty or more something of a warning not to do it again? MV: I honestly really don’t know. We’ll discuss, between the team and the FIA, what we’re going to do. If I agree with it, it doesn’t really matter, does it? What can you do about it? I find it a bit harsh but yeah… We’ll find a solution.